OSWEGO – ARISE would like to thank the Elks Lodge members for their support of the Oswego County Ramp Program. 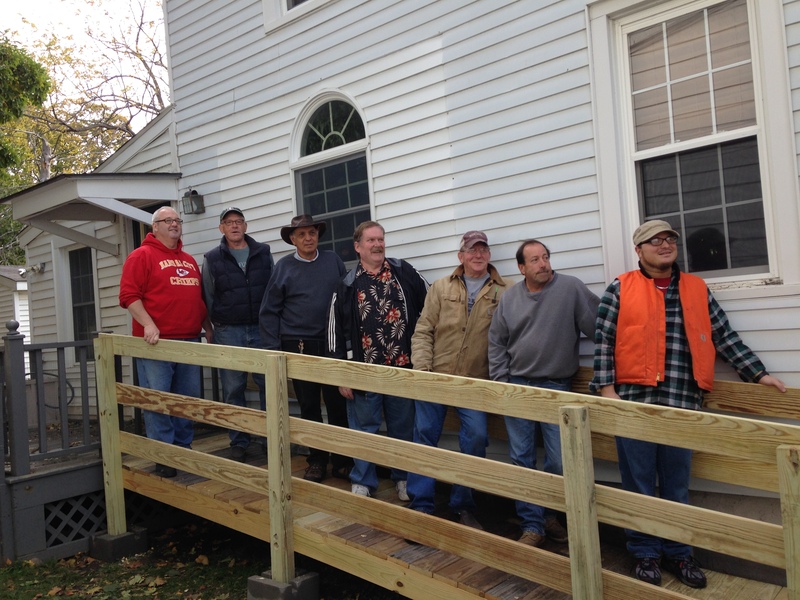 The Elks Lodge not only covered the cost of three recent ramps, they also volunteered to help install them. 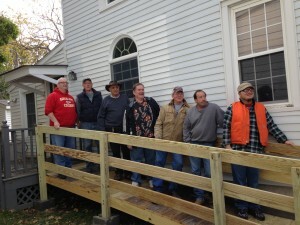 ARISE staff and the Oswego Elks Lodge members worked together to build a ramp in the city of Oswego. Thanks to Elks Lodge members, one individual with chronic health conditions has regained access to the community, another family will no longer have to lift their young child’s wheelchair on and off the front porch every day, and a third young child was able to have her aluminum ramp replaced with a permanent wood ramp. The weather did not always cooperate but the group carried on. “It rained the entire time during the first ramp but it didn’t stop them. They are such a great group – they have such phenomenal attitudes,” said Jim Karasek, ARISE manager of Independent Living for Oswego County. The ARISE Oswego County Ramp Program provides ramps for families in need all across Oswego County. Without any government support in Oswego County, this program is funded completely through donations from individuals, businesses, and community partners. Donations can be made online at ariseinc.org. ARISE is a non-profit Independent Living Center run by and for people with disabilities. The organization has been providing advocacy and services since 1979, and each year ARISE works with approximately 4,000 people of all ages who have all types of disabilities. ARISE has offices in Onondaga, Oswego, Madison, Cayuga, and Seneca counties and operates ARISE at the Farm, a 77-acre recreational facility in Chittenango and ARISE & Ski at Toggenburg Winter Sports Center in Fabius.